This book presents a critical and systematic study of the possibility to consider and practice Freud's psychoanalysis as a form of depth hermeneutics. It contributes to a screening of the possibility of a hermeneutical interpretation of psychoanalysis, particularly with respect to the therapeutic practice. 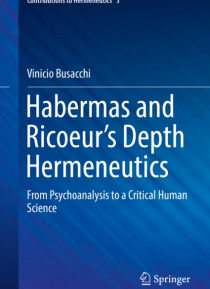 The book is an investigation into the philosophical implications of the hermeneutical re-rea… ding of psychoanalysis and clarifies the real speculative and theoretical potential behind the dialectic of hermeneutics and psychoanalysis. It examines two themes which, so far, have remained unclarified and unexplored in their potentiality: firstly, at the level of a construction of a procedural model for the human and social sciences, as well as for philosophy, and, secondly, at the level of a philosophy of the human being able to subsume and express the biological and natural dimension of human identity as well as its historical narrative and social identity.